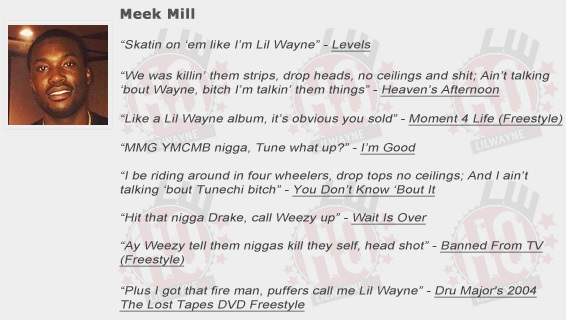 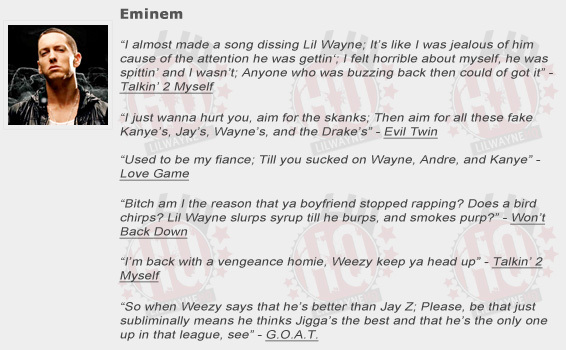 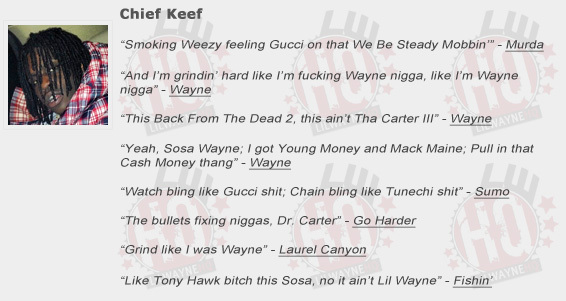 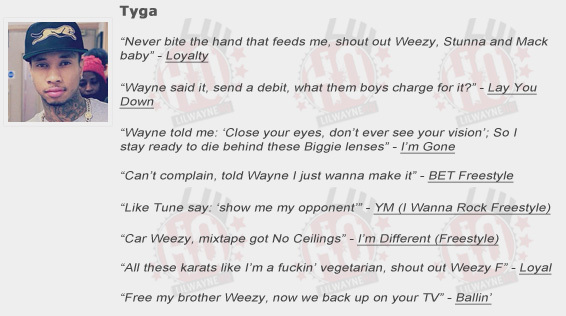 Below, you can view a list of quotes from other rappers that have shouted out, name dropped, or mentioned Lil Wayne in their songs. 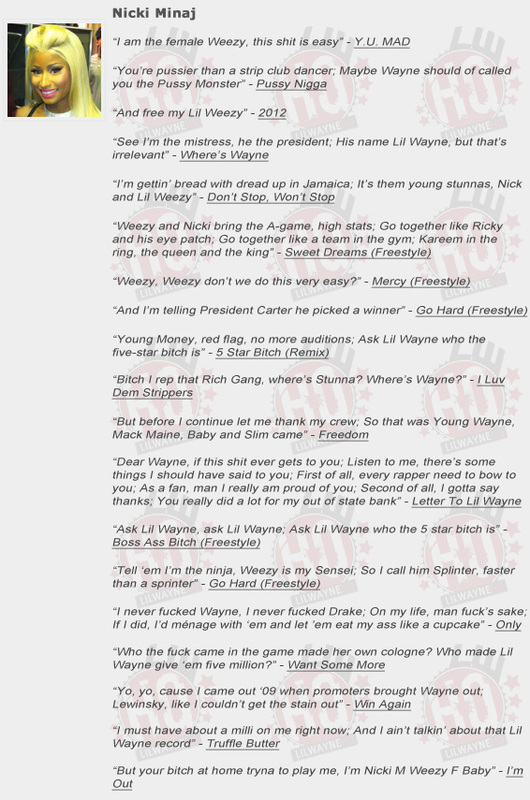 I have included lyrics from both the old-school rappers, such as Nas, and the new generation rappers, such as J. Cole. 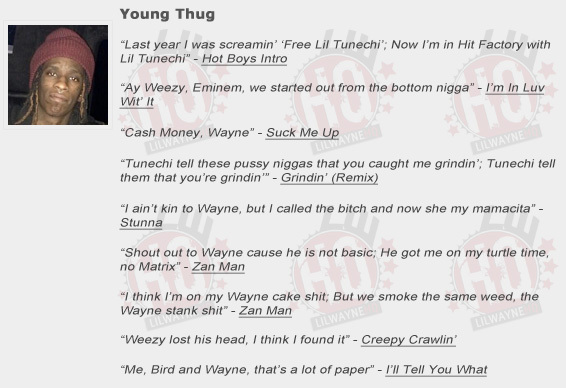 However, there is one rapper that I have left off this page and that is Birdman. 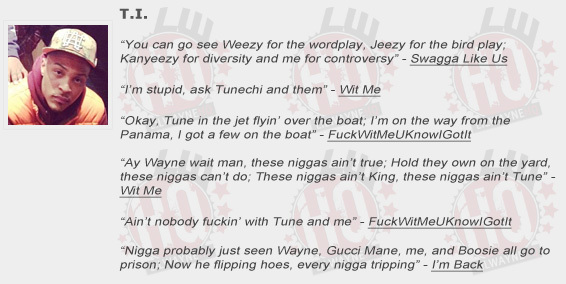 The reason for this is because Birdman shouts out Wayne in more or less every song or feature he does, so you shouldn’t have a hard time finding a Baby song that doesn’t mention Weezy or “Junior“. 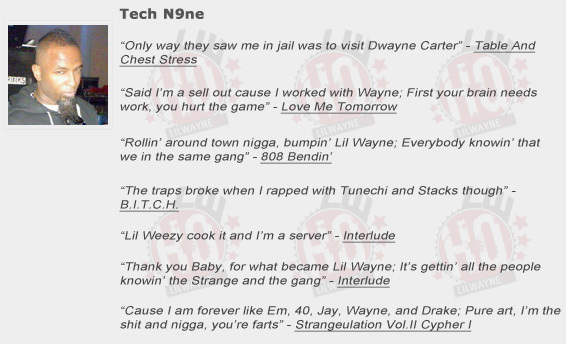 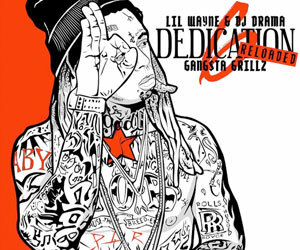 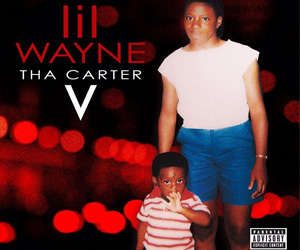 If I am missing any other Lil Wayne references from a rapper on this page that you know about, please let me know and I will be sure to add it up!